Who’s hiding? Young readers will have to pay close attention to find out. Who’s Hiding? 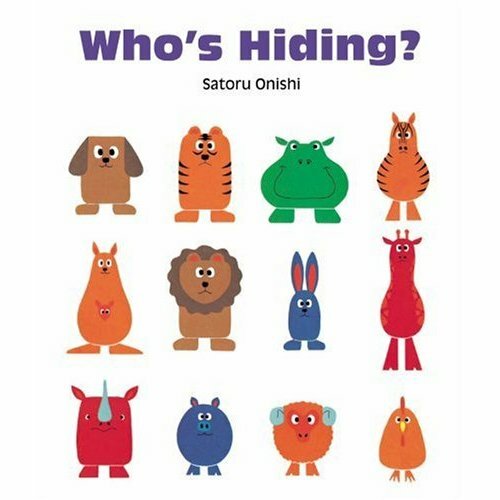 by Satoru Onishi is a simple but clever book that is sure to have toddlers and preschoolers coming back for more. Essentially it is a ‘spot-the-difference’ book for young children, but it also manages to delve a little deeper. Eighteen brightly coloured, slightly kooky animals are laid out in the same order on each double page spread. The first shows all the animals and their names and asks the question “Who’s hiding?” The next spread shows all of the animals with the exception of one, who is ‘hiding’. Careful observations and a few visual clues will give young readers the answer. 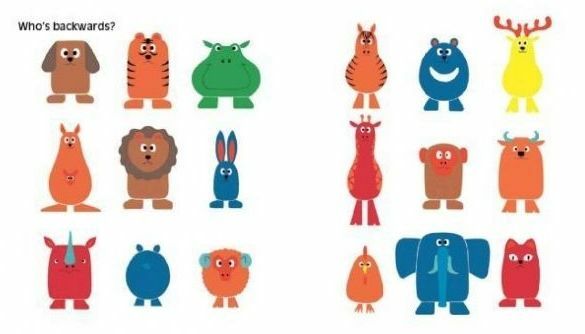 The question of who’s hiding is alternated with others ranging from simple observations such as “Who has horns?” to the slightly trickier “Who’s angry?” These answers aren’t so obvious and rely on children to interpret facial expressions and the body language of the animals. The illustrations have the perfect amount of detail and the changes in the animals, whilst subtle at first glance, are obvious on closer examination. This is a terrific book for preschoolers. Who’s Hiding is available from Fishpond for $21.99.